Live-action remake of Disney's animated adaptation of the Rudyard Kipling tale. Like the great Disney movies of old, The Jungle Book knows how to scare, delight and thrill children, of all ages. Not taking your kids to see this would be an act of parental neglect, but I advise all adults to see it themselves, children in tow or not. Trust in me. You could be forgiven for approaching this latest adaptation of Rudyard Kipling's collection of stories with a degree of cynicism. In a Hollywood bereft of ideas, this sees Disney fall back on what might seem a safe bet in rebooting their beloved 1967 animated movie with 'soulless' computer effects. You'd have to be pretty naive about the machinations of Hollywood to believe any motivation beyond the economic existed for this remake, but whatever its origin, the resultant movie is a resounding success, one that will wash away any cynicism within its opening minutes. The 1967 version took a pretty liberal approach to Kipling's source stories, and this remake follows suit, sticking for the most part to the original's plot, while occasionally taking the odd detour off the established path to explore its own jungle. Unlike so many of the modern era's children's movies, The Jungle Book boasts a simple plot. The mancub Mowgli (Neel Sethi) has been raised by wolves, much to the annoyance of the aggressive tiger Shere Khan (Idris Elba). Protecting Mowgli is a 'river truce', established by the appearance of a 'peace stone' when the river level dropped. As long as the peace stone is visible, the various species are forced to maintain friendly relations. When a flood submerges the peace stone, Mowgli is forced to leave the wolf village, and is led by his longtime friend, the panther Bagheera (Ben Kingsley), on a journey to return to the 'man village'. But Shere Khan is determined to stop the boy before he can reach safety. What results is essentially a chase movie, and one of the best examples of that archetype. 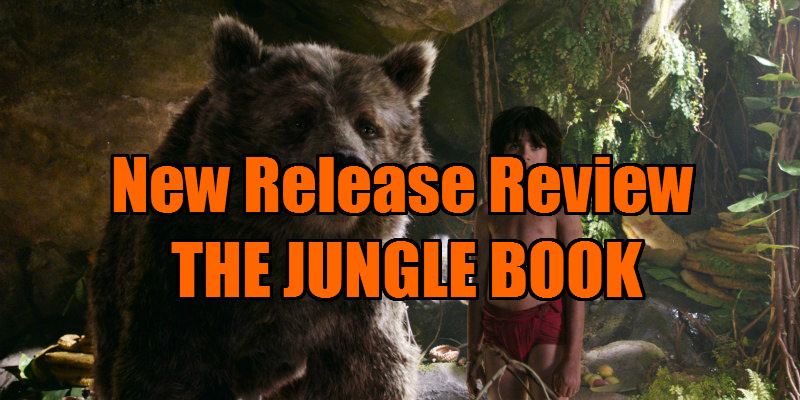 With Mowgli journeying through a stunning environment that both threatens and protects the boy, it at times resembles a more cohesive version of The Revenant's sloppier take on a similar dynamic. The most surprising aspect of Jon Favreau's film is how it revives the long lost Disney tradition of presenting a villain that's genuinely scary. Shere Khan doesn't pull any punches here, and an early murder on his part is as shocking and disturbing as anything you'll see in adult-oriented cinema. A scene in which Khan gathers up the wolf cubs away from the protection of their mother (Lupita Nyong'o) is chilling in its undertones, and Khan blocking a cub's path by simply placing a giant paw in its path is a subtly effective piece of characterisation that tells us everything about the tiger's power. When you have a bad guy this threatening, it raises the stakes and makes you care more for the good guys, and they're a loveable bunch here, from Kingsley's elegant Bagheera to Bill Murray's bear Baloo, part Cowardly Lion, part Winnie the Pooh. But it's Christopher Walken's King Louis the Orangutan who steals the show, a lumbering menacing ape who manages to maintain a convincing level of threat even after delivering a rousing rendition of the immortal ditty 'I Wan'na Be Like You'. 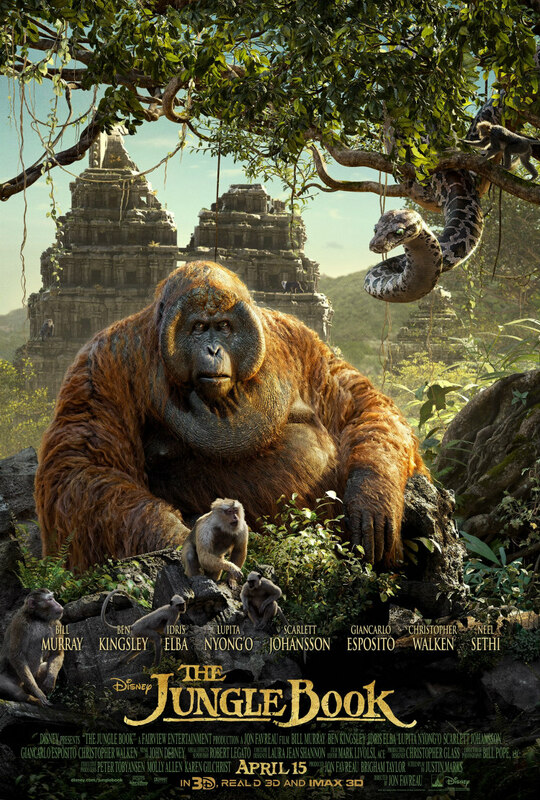 Yes, this new Jungle Book finds time for musical interludes. Murray belts out a version of 'Bare Necessities' just at the point when we begin to wonder if the movie might be taking itself a little too seriously. Oddly, Scarlett Johansson's sultry rendition of Kaa the snake's 'Trust in Me' is held over for the closing credits, making Kaa's scene all too abrupt, as though the song was originally performed but excised from the final cut. 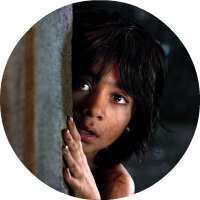 When remaking an animated classic in 'live action' form, there's always the danger of losing a large part of the original's charm, but here the only live action element is really Mowgli; everything else is animated, albeit in a manner so convincing as to make you forget that's the case. The CG here is far from 'soulless'; it's next level work, arguably the most impressive since Spielberg's techies made us believe in dinosaurs. The detail in every animal is minute, and crucially, the film refrains from over-anthropomorphising its creatures. Apart from moving lips, the gestures are always species appropriate, which goes a long way in helping us forget we're watching characters created on PC screens. The hitherto impressive animal animations of recent movies like Life of Pi and Dawn of the Planet of the Apes suddenly appear amateurish by comparison. In the wake of dour movies like Batman V Superman and The Huntsman: Winter's War, this Jungle Book is especially welcome. Like all great kids' movies, it's fully focussed on satisfying its target audience, making no concessions to the adults in the audience - refreshingly, there are no jokes designed to fly over the heads of its youthful viewers. Like the great Disney movies of old, The Jungle Book knows how to scare, delight and thrill children, of all ages. Not taking your kids to see this would be an act of parental neglect, but I advise all adults to see it themselves, children in tow or not. Trust in me.